“The PM’s statements were irresponsible. He should provide proof of his allegations. The allegations were baseless and his speech was filled with lies,” Siddaramaiah said. 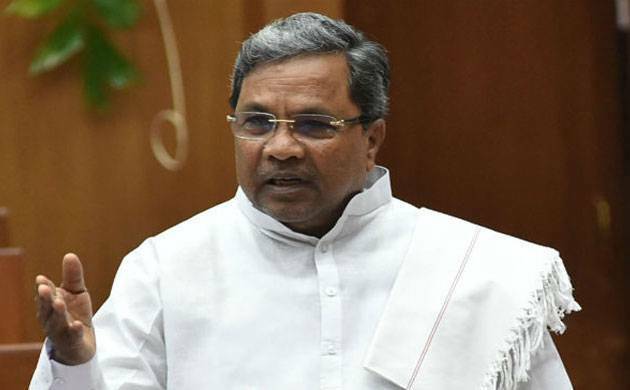 Karnataka Chief Minister K Siddaramaiah hit back hard at PM Modi over his remarks that there was a “10 per cent commission government" in the state and criminals were ruling the roost under it. He also targeted BJP’s Chief Ministerial candidate BS Yeddyurappa. “The PM spoke about corruption with Yeddyurappa beside him. When he (Modi) was the CM of Gujarat he did not even appoint a Lokayukyta. Being the PM, he has stooped to the levels of Yeddyurappa, nothing can be more shameful than that,” Siddaramaiah said. The Congress leader went on to speak about the achievements of his government. “When we came to power our position was 11th in the investment list, from the past two years we are No. 1. These are statistics released by central government,” he said. "When the Congress was there in the Centre, Karnataka was given Rs 73,000 crore. When the BJP came to power in the Centre, we gave the state 2 lakh crore. It is an increase of 180 percent. However, have you seen that money given to the state?" Modi said. Karnataka CM Siddaramaiah added that as per 14th finance commission, in last three years we were supposed to get 95.200 crore,whereas we got 84.500 crores, so they have to give 10,000 crores. This neither PM knows nor Amit Shah.